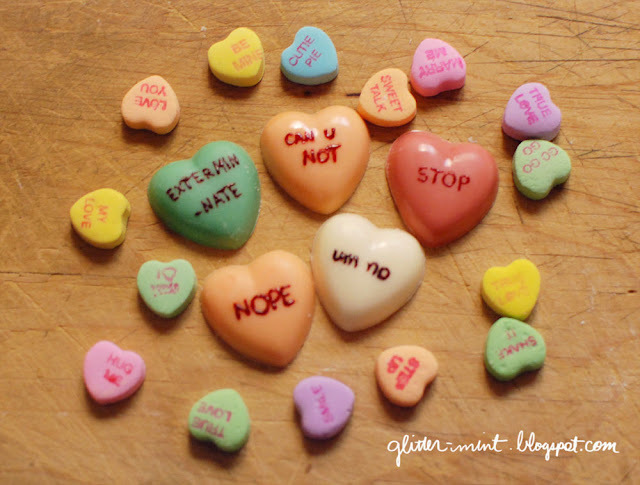 Happy Valentine's Day people! 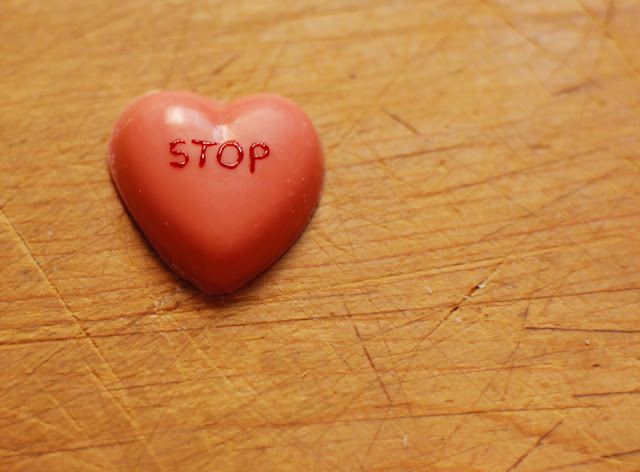 I'm gonna be honest with you guys and tell you, I'm not a huge fan of Valentine's Day. I am of the belief that Valentine's Day is cheap and is a greeting card holiday. 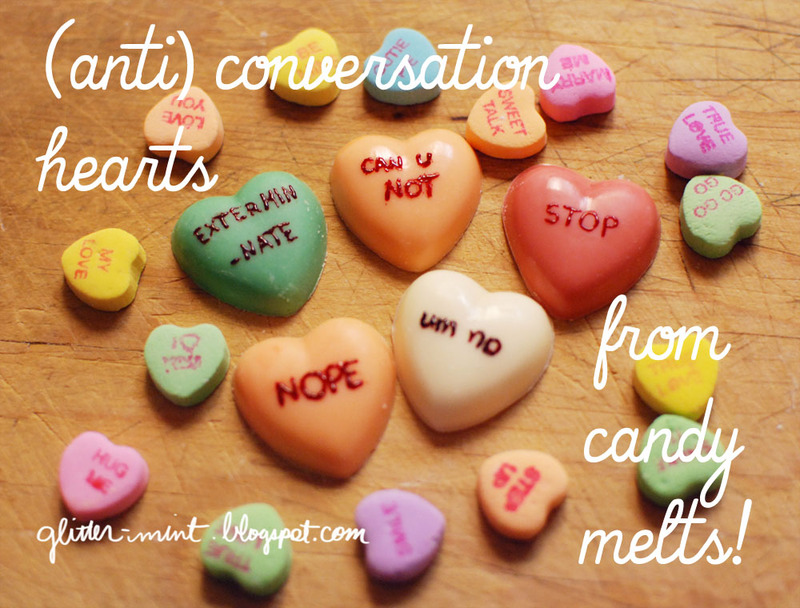 So when I saw this post on HelloGiggles's tumblr, I knew what I had to do: anti-conversation hearts! You can click below to check out how to make them. 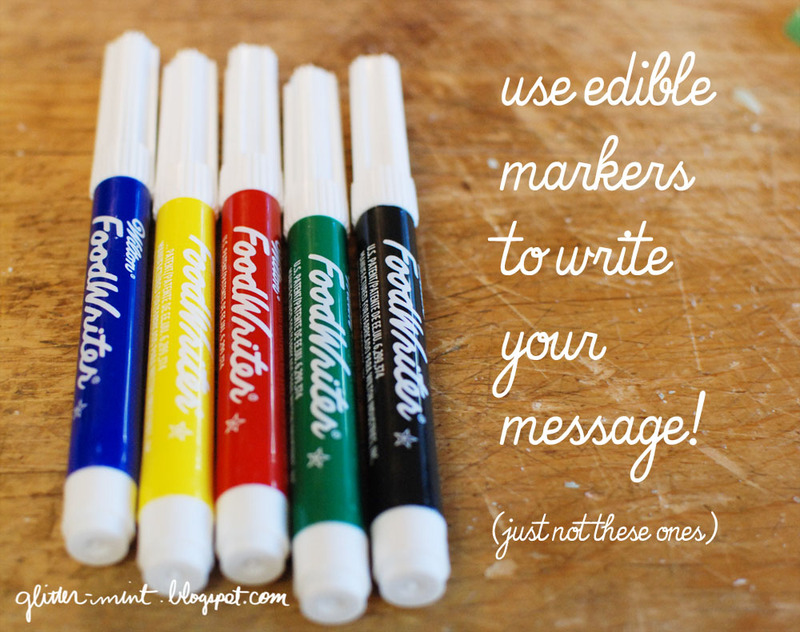 And I guess you could always put, I dunno, like, a nice message on them. 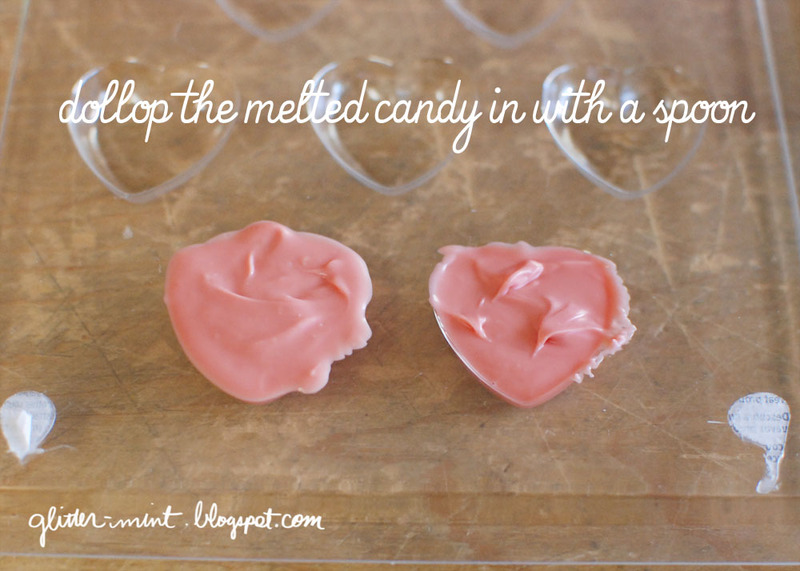 >> A quick tip when microwaving candy melts: DO NOT over heat! They will start to seize up if you heat them for too long. 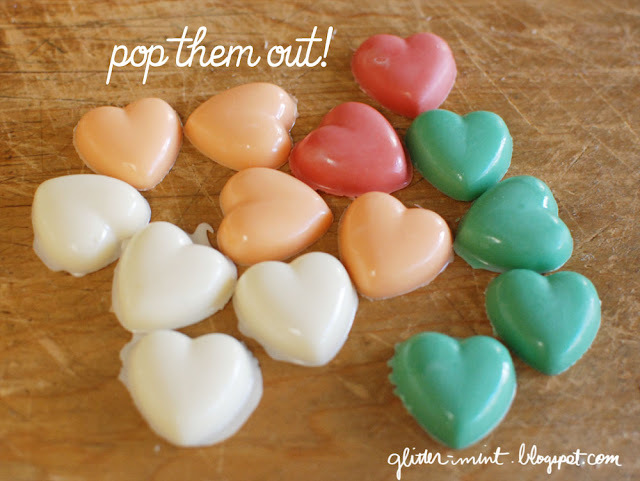 Put them in for 30 seconds on high and then stir. When you pull them out of the microwave they won't look melted but they just need to be stirred. I did small quantities at a time and 30 seconds was all I needed each time I melted a bowl. 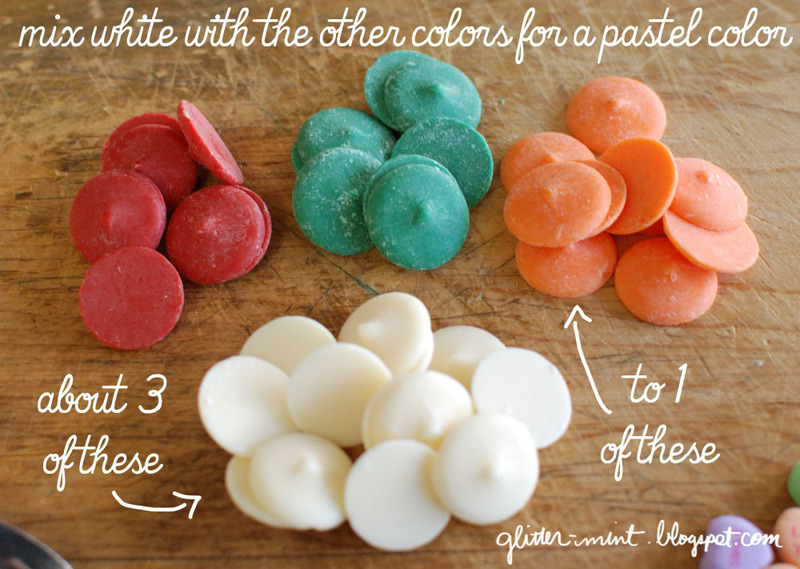 >> Lift the mold off a stable surface a couple inches and then drop it. 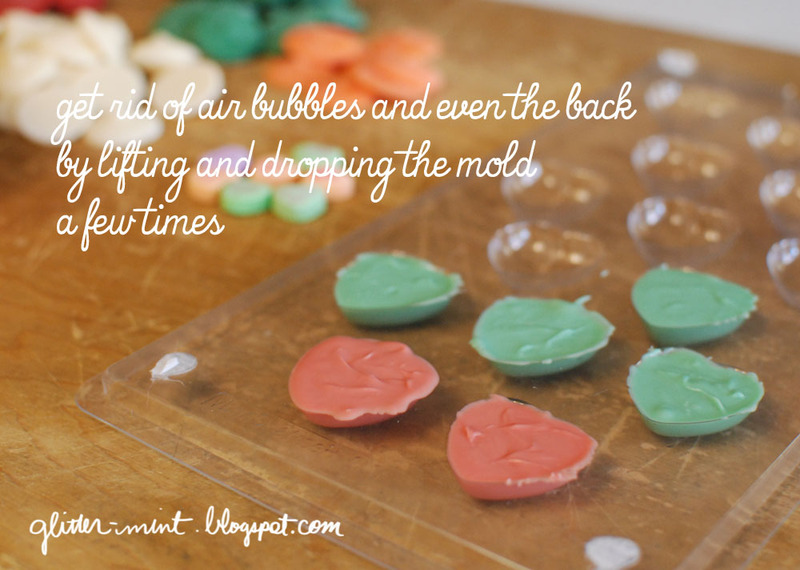 Do this a few times and any air bubbles will rise and pop. This clear mold is great because I could check if there were any visible air bubbles. >> Clean up any rough edges with a smooth knife. 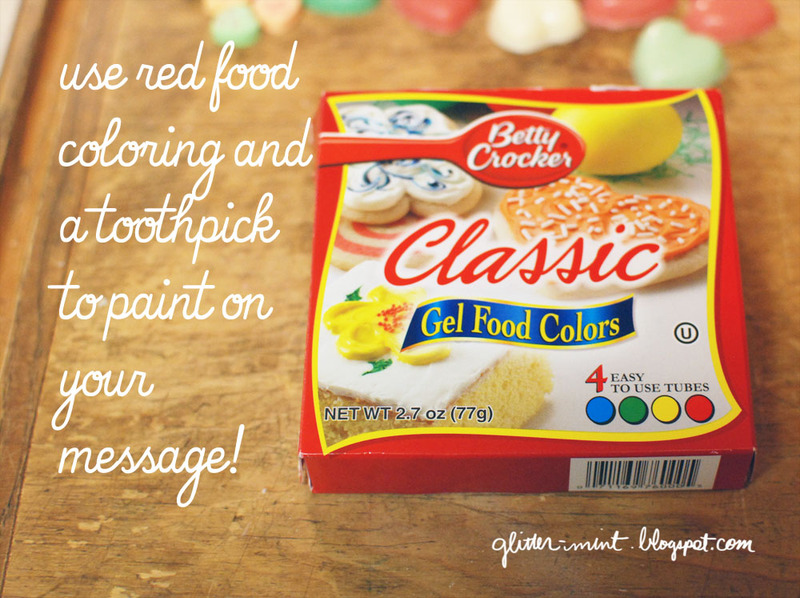 >> Martha Stewart has a tutorial on how to do conversation heart cookies and she uses red food coloring and letter stamps. So that's what I did. Only without the stamps.